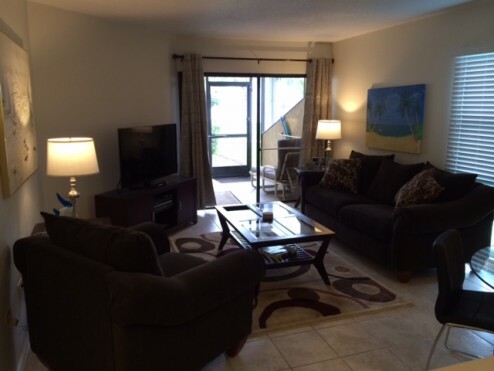 Newly updated condo in Cayman Reef Resort. The unit has been renovated and newly furnished all the way around. Located in a well maintained, beautiful resort on Seven Mile Beach. Pool and Beach only foot steps from porch. Walk directly from the porch to the beach and into the ocean for a relaxing dip in the warm water or a walk down the beautiful white sandy beaches. Resort is on beach side and it is only 200 feet from the unit onto the sand. Perfect for a few nights or a few months. Located across from the connecting road to Caymana Bay with newly built shops, restaurants, and movie theater. No need for a car, plenty to walk to. Royal Palms Bar and Grill is 200 feet up the beach from Cayman Reef Resort. Plenty of room for 2-4 people looking for endless days in the sun on the beach. Resort is for owners and guests only. Tennis court and pool are located on property and are private. Georgetown is just a few miles away.